I think I can speak for most college students across the country when I say that home matters. These connections are sure to fall on a spectrum, but these relationships inevitably exist in some form. Housing is a big deal here, for obvious reasons. Lest we forget, we are two and a half hours away from the nearest metropolitan city. And statistically speaking, I would be hard-pressed to find someone who spends more time in any one location on campus other than his or her room. A student’s room is the first space to truly call home here, before joining any kind of student group or social house. Home matters beyond the first year, however, as students continue to take risks inside and outside of the classroom. Home is a grounds for stability and comfort, especially in the midst of the tumultuous D-Plan. And as seniors return for one full and final year together before graduation – before the so-called “real world,” wherever that may be and whatever that may mean – the value of this home, and the nostalgia for the memories made here, begin to amplify in conjunction with the memories and experiences still unfolding. Dartmouth students and administrators alike have invested significant amounts of time and energy into the housing experience here. Weekly floor meetings during my freshman year did help me feel more comfortable here, and the friendships I made on my freshman floor ultimately allowed me to find fulfillment beyond my first year and beyond my own physical room. Community is such a vital part of the Dartmouth brand. It’s clear Dartmouth has an incentive to continue building a sense of community as it and other colleges around the U.S. continue to tackle 21st century problems. My freshman year roommate and I shared a two-room double in the McLaughlin cluster. My sophomore year roommates and I shared a two-room triple in Mid-Mass. I had a single in the Ripley-Woodward-Smith complex my junior year. And I now live in a four-person suite in the River apartments. When it comes to housing at Dartmouth, I have seen and tried it all. In anticipating the rollout of the new housing communities, beginning with today’s “Founders Day” festivities, I cannot help but reflect fondly on my past housing woes. I have seen and tried many different kinds of housing, across different areas of campus, and with all sorts of roommates. And, in the process, I have encountered situations that challenged me as a roommate and as a person. My freshman year, over Homecoming weekend, I unwittingly allowed a random Dartmouth student to sleep in my roommate’s bed, only for my roommate to find soiled sheets the next day. I still feel bad about it. My sophomore year, I slept in a top bunk so close to the ceiling that I could not sit up straight in my bed, and studied in a desk chair that banged against the futon whenever I stood up for a study break. I was miserable. My sophomore summer, I chose to live in a Spanish-language affinity house. The experience was fulfilling and intellectually stimulating, but not one I would go on to repeat. My junior year, I was happy to hold full control over my living space for the first time since coming to Dartmouth. I lived close to the pool, making those walks to morning practices much more bearable in the winter. But in doing so, I was physically farther away from my favorite study spots and social spaces. And finally, this year, despite the interminable trek to and from everything on campus, I have never been happier with my physical space on campus. Not to say that I can only survive in a lavish River apartment, which only a select few inhabit each year. No housing setup is ever perfect. But the imperfections, coupled with my extensive series of trials and errors, have formed some of my most impactful moments and memories at Dartmouth. Having had my fair share of ups and downs in my homes at Dartmouth, and having emerged alive and better off from my mistakes, I worry for future students. Part of the beauty of the D-Plan is the difficulty in transitions. It is the social hassles of inconsistent friend groups each term that facilitates the formation of unlikely friendships across traditionally rigid social boundaries. It is the changing academic calendar that forces students to take full ownership and accountability over what they choose to study, prioritizing the kinds of classes that truly matter most to them. And it is the uncertainty of knowing what the future may hold, exaggerated by the additional flexibility of the D-Plan, that encourages students to make the most out of the plethora of resources available to them in the present moment. 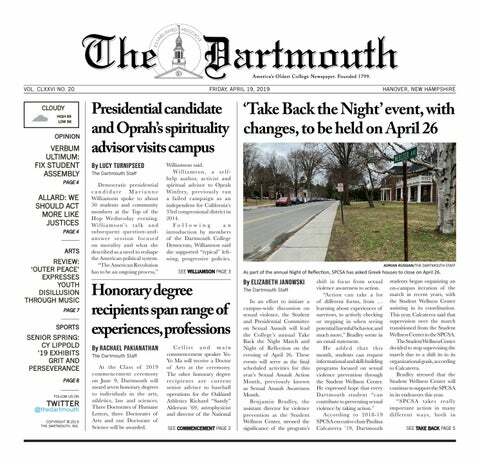 To take away the burdens of transition and uncertainty by creating seemingly permanent living communities — the procedures for these formations notwithstanding — is bound to have serious impacts for the future well-being of the Dartmouth community. For many students at Dartmouth, Hanover becomes a second home. Some students specifically select Dartmouth from a host of other elite colleges and universities because of the physical beauty of the Upper Valley, while others are attracted to the strength of the Dartmouth alumni network, which is a reflection of the meaningfulness of the undergraduate experience as it unfolds here. Students may feel varying levels of attachment to this place. But even the most reclusive of us will still have some gratitude at having had the opportunity to be here at all.